Obsessive-compulsive and related disorders, a new diagnostic group of disorders in the Diagnostic and Statistical Manual of Mental Disorders™ (APA, 2013), can be severely debilitating. This group of disorders can significantly impact a person’s quality of life physically, mentally, socially, and occupationally. In addition to the amount of time consumed by the symptoms of these disorders, they are often persistent when left untreated. 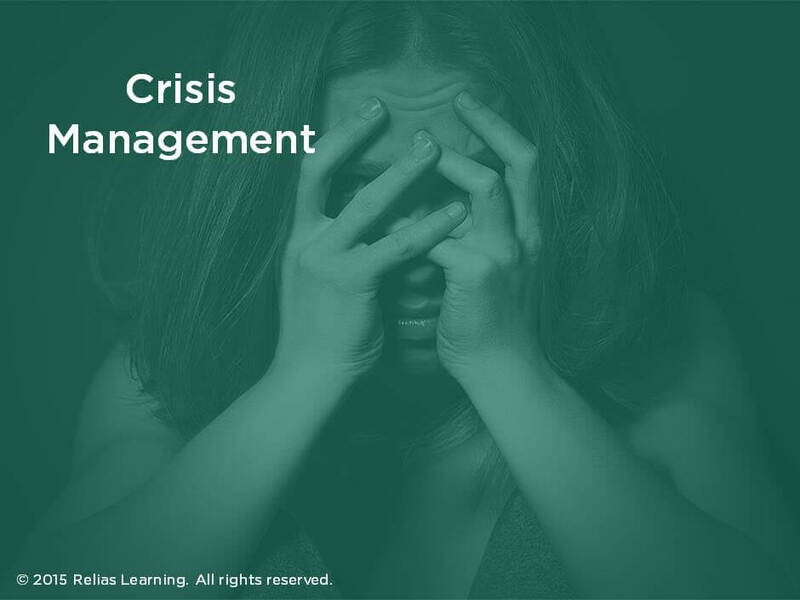 In this course, you will deepen your understanding of the subtleties of each of the various mental disorders in this category, the most prominent being obsessive-compulsive disorder. You also will navigate through both the pharmacological and non-pharmacological gold standards of assessment, diagnosis, and treatment. The course will highlight best and emerging practices, as well current trends in research for this diagnostic category. 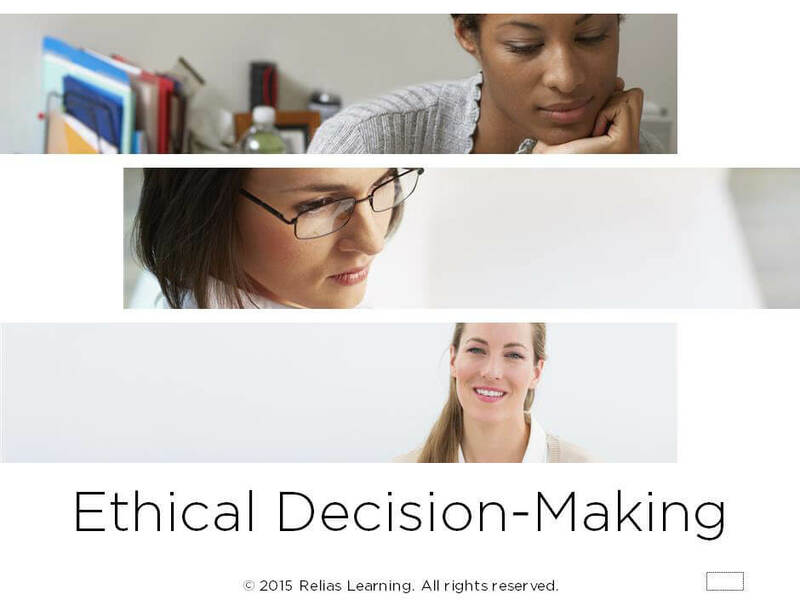 Through interactive scenarios and detailed examples, you will gain a deeper understanding of how you should implement these in your own setting. 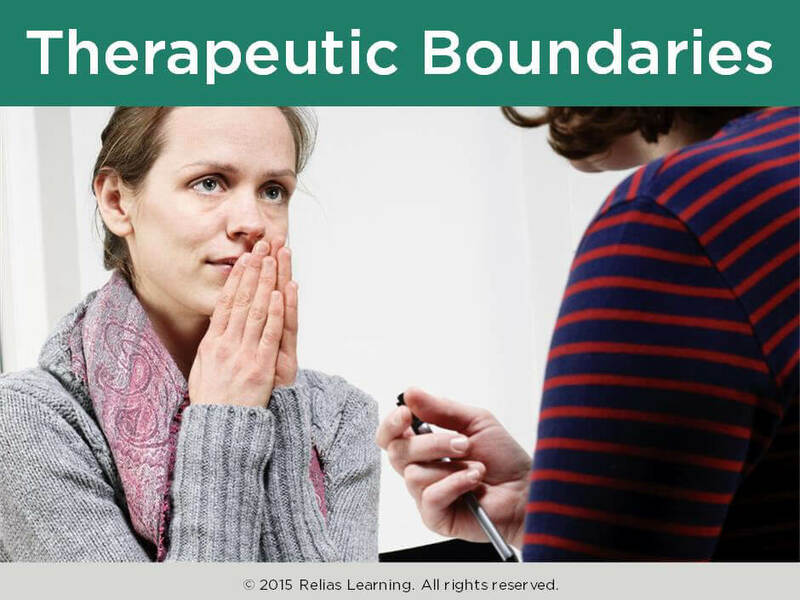 This training is designed for intermediate to advanced level mental healthcare professionals who work with individuals with obsessive-compulsive and related disorders in a variety of healthcare settings. DSM™ and DSM-5™ are registered trademarks of the American Psychiatric Association. 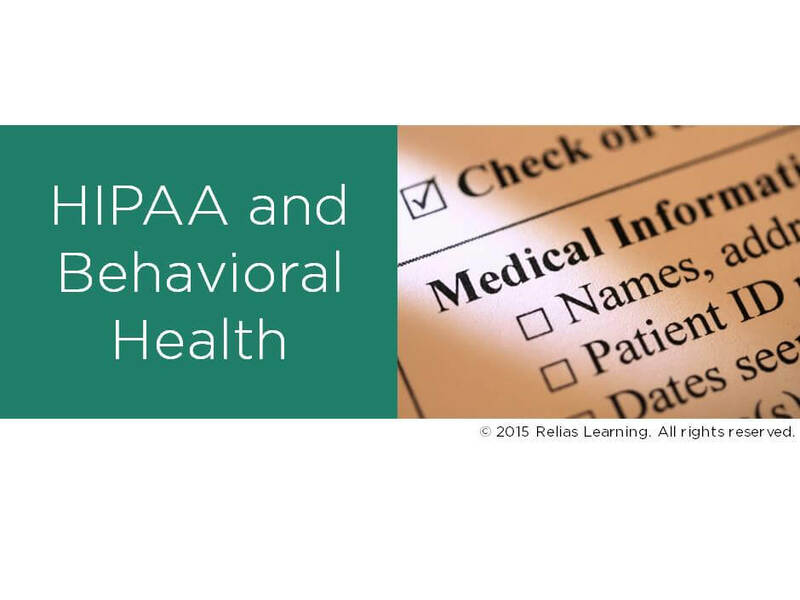 The American Psychiatric Association is not affiliated with nor endorses this course. Describe the main symptoms of obsessive-compulsive and related disorders, including the symptoms that are commonly difficult to treat. 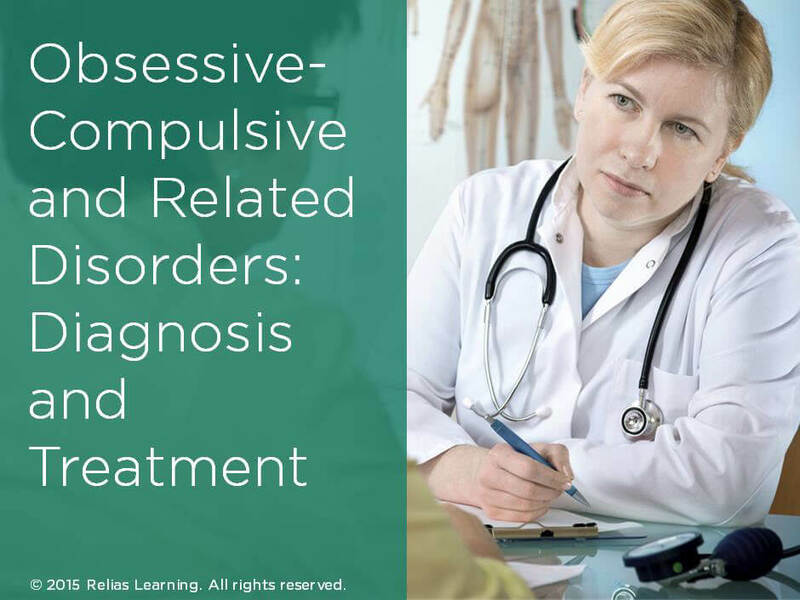 Summarize two gold standard assessments and diagnostic tools for obsessive-compulsive and related disorders. Discuss at least three best treatment practices that you can implement in your own setting. Section 1: Introduction A. About This Course B. Learning Objectives Section 2: Overview of Obsessive-Compulsive and Related Disorders A. Meet Mark B. What Went Wrong? C. What Are Obsessive-Compulsive and Related Disorders (OCRDs)? D. A New Paradigm Shift E. The Rationale for a Shift in Thinking F. Review G. Summary Section 3: Obsessive-Compulsive Disorder (OCD) A. Revisiting Mark B. Impact of OCD C. The Development of OCD D. Obsessions E. Compulsions F. New Diagnostic Features of OCD G. Recognizing Symptoms and Central Themes H. Quick Check I. New Insight and Specifiers J. Developmental Considerations K. Differential Diagnoses and Comorbidities L. Review M. Summary Section 4: Other Disorders in the OCRD Category A. Body Dysmorphic Disorder (BDD) B. New Diagnostic Features of BDD C. More about BDD D. Differential Diagnoses and Comorbidities of BDD E. Quick Check F. Hoarding Disorder (HD) G. Cognitive Processes of HD H. Impact of HD I. More about HD J. Differential Diagnoses and Comorbidities of HD K. Quick Check L. Trichotillomania (Hair Pulling Disorder) (TTM) M. New Diagnostic Features of TTM N. Excoriation (Skin Picking) Disorder (SPD) O. Overlap of OCRDs P. Quick Check Q. Other Disorders R. Meet Jerry S. Summary Section 5: Gold Standards in Assessment and Diagnosis of OCRDs A. Assessing OCRDs B. More about Assessing OCRDs C. Assessing OCD D. What Not to Overlook When Assessing OCD E. Assessment Tools for OCD F. Quick Check G. Assessing BDD H. Assessment Tools for BDD I. Assessing HD J. Assessment Tools for HD K. Quick Check L. Assessing TTM M. Assessment Tools for TTM N. Assessing SPD O. Assessment Tools for SPD P. Meet Zora Q. Summary Section 6: Advanced Treatment Strategies and Techniques for OCRD A. Meet Lin B. Models of Care C. Current Treatment Options for OCRDs D. Treating OCRDs – Additional Elements of Treatment E. Treating OCRDs – Optional Supplementary Interventions F. Treating OCD and BDD – Exposure and Response Prevention (ERP) G. Quick Check H. Treating TTM and SPD – Habit Reversal Training (HRT) I. 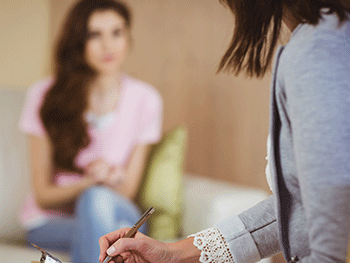 Treating HD – Cognitive Behavioral Treatment for Hoarding (CBT-H) J. Other Evidence-Based Treatment Options for OCRDs K. Quick Check L. Pharmacological Treatment for OCD M. Pharmacological Treatment for HD N. Emerging Practices and Technologies O. Quick Check P. Barriers to Treatment Q. Therapeutic Strategies to Enhance Treatment Engagement R. Revisiting Lin S. Summary Section 7: Conclusion A. Summary B. Congratulations! Heather Sones, Ph.D., earned her doctorate in Clinical Psychology from the University of California, San Diego/San Diego State University Joint Doctoral Program in 2014, and is currently a postdoctoral fellow at the Seattle Division of the Puget Sound VA. She specializes in the treatment of posttraumatic stress disorder (PTSD) in combat veterans, as well as addressing the impact of PTSD in intimate relationships. Her dedication to working with traumatized populations extends into her volunteer work as well, having participated in several disaster relief projects in both the United States and Port-au-Prince, Haiti. Disclosure: Heather Sones, Ph.D. has declared that no conflict of interest, Relevant Financial Relationship or Relevant Non-Financial Relationship exists. The target audience for this course is: entry and intermediate level Alcohol and Drug Counselors; entry and intermediate level Marriage and Family Therapists; entry and intermediate level Professional Counselors; entry and intermediate level Social Workers; entry level Psychologists; intermediate and advanced level Nurses; in the following settings: Health and Human Services.